Hornblower #2, fully welded and entering ? nal assembly at Metal Shark Marine in mid-December 2016. City area. Most recently Hornblower landings, covering more than 60 miles, wake up every day with people thinking, in the U.S. this year. Last struck a deal with the City of New York projected to carry 4.6 million passenger living and breathing Citywide Ferry,” to build and manage a ? eet of up to 20 trips per year. said Clark. United States in a generation. 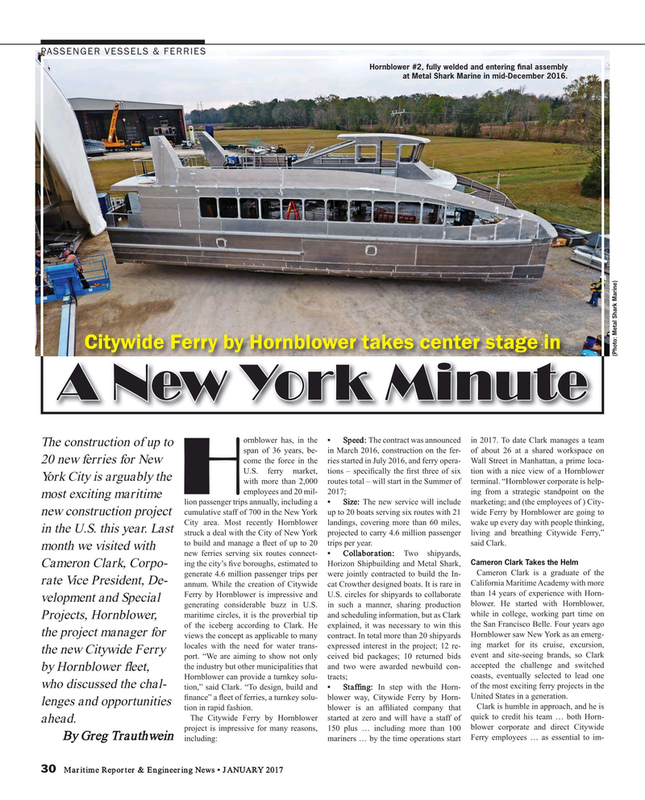 The Citywide Ferry by Hornblower started at zero and will have a staff of quick to credit his team … both Horn- ahead.